Tears have always come quick for me whether I'm watching a sappy movie, listening to an orchestral work that's particularly sweeping, or reading a moving piece of poetry. But SERIOUSLY you guys, since I became a mom my emotional range has reached a whole new level. Like, I cry when that "Main Street Isn't Main Street Anymore" song comes on during the Cars soundtrack. It's a little much. But I figure as long as I explain to my daughter that crying can be cathartic, that the beauty of life often lies in every moment's impermanence, and that crying is healthier than stoicism, I won't be scarring her forever. Whatever. She gets it. 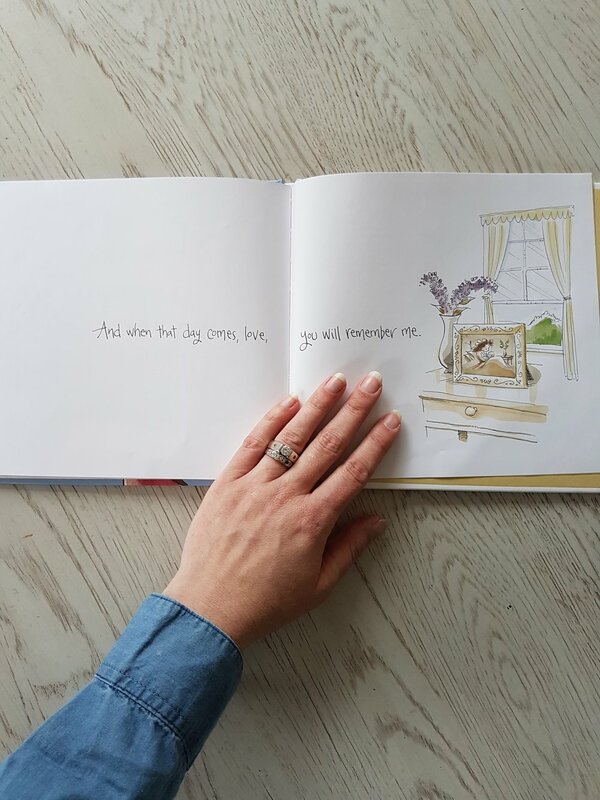 And it's in that spirit I present to you the most tear-stained books in my house, all of which are favourites of both me and my daughter, which tells you right there it's okay to cry. ...and the page that breaks me. 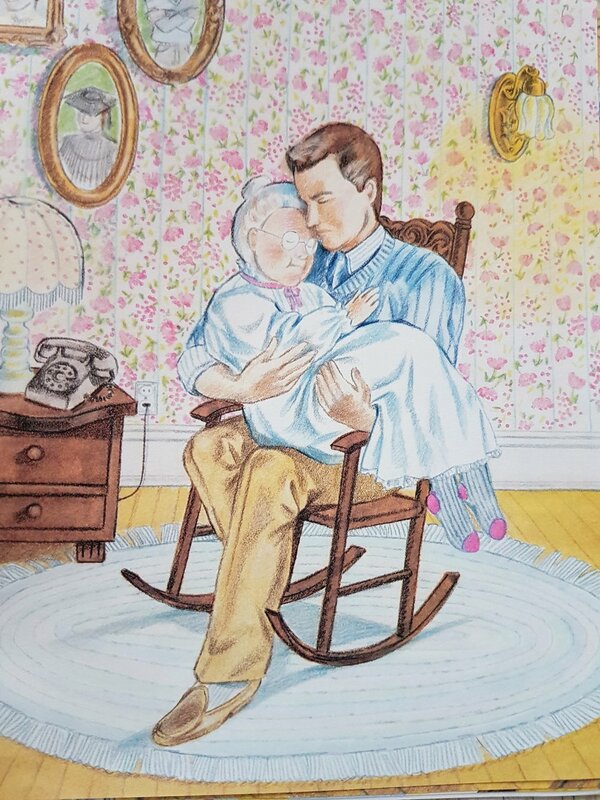 "The Floating Orchard" is a book my late Grandma Kardash gave me which her friend in the artist community had illustrated and signed with a note about her hope that my grandma could share it someday with her great-grandchildren. It's a beautiful story about loss and hope. "Rain fell like tears on Damson's Face" when she had to cut down the tree her grandmother had planted years ago, but the heartbreaking decision was necessary to finish her ark as the orchard home she loved so dearly was flooding. And, you guessed it, tears fall like rain on my face every time I get to this moment. 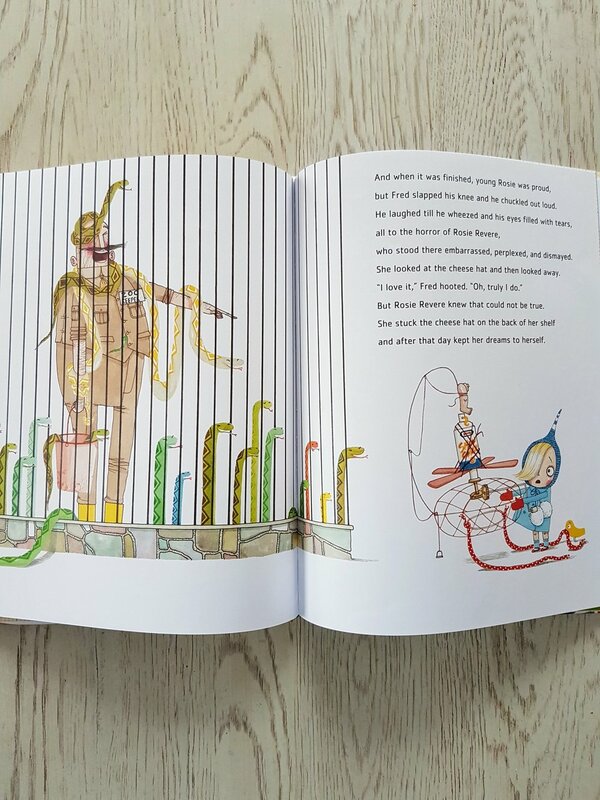 This gorgeous book is illustrated by Allen Sapp, a Canadian icon, and follows a boy whose grandmother helps him discover his Aboriginal roots. He doesn't know the language, he doesn't understand the customs, but he feels the call of his heritage when he goes to his first pow wow. Retaining culture at will has been part of my privilege and my daughter's, but it has not been so for many equally deserving people. 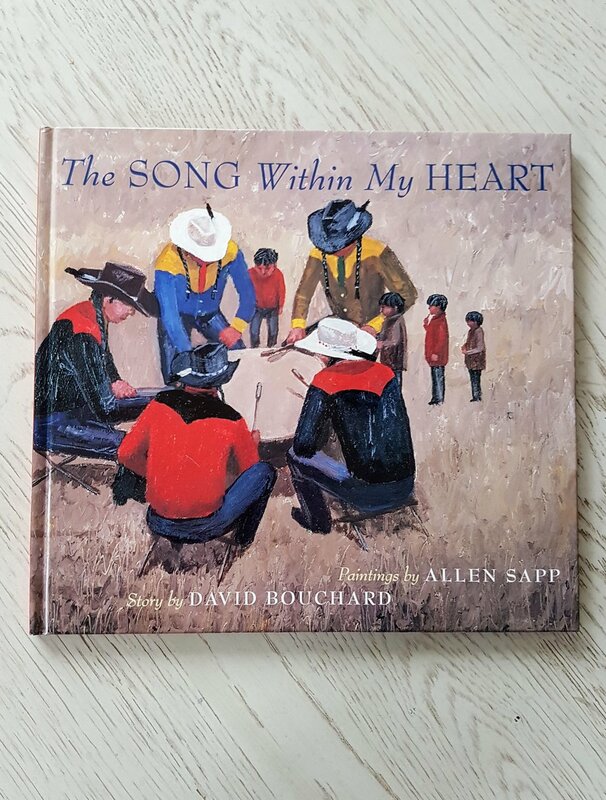 "The Song Within My Heart" is an important story and is so much bigger than this book. 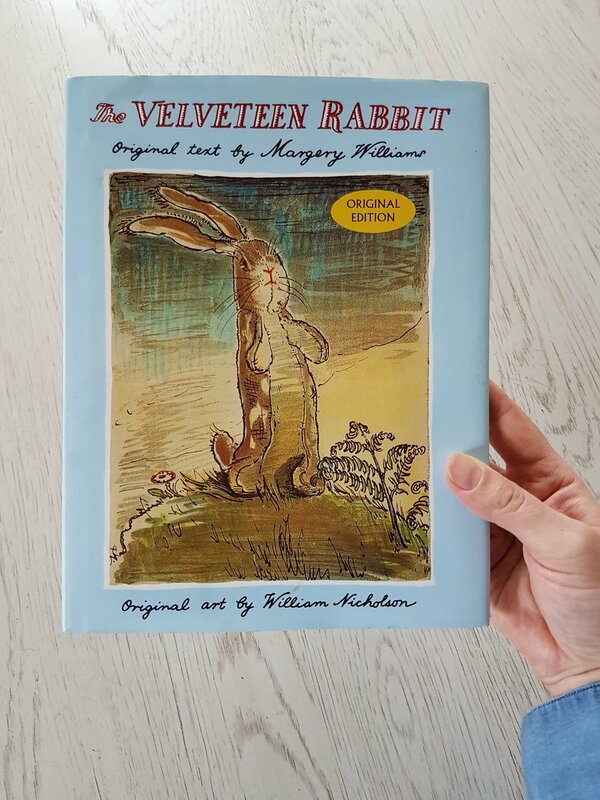 With very few illustrations, I always hope my daughter to cut me off when reading "The Velveteen Rabbit" because I know it ends in waterworks but somehow, she often sits through this classic, half-hour read. 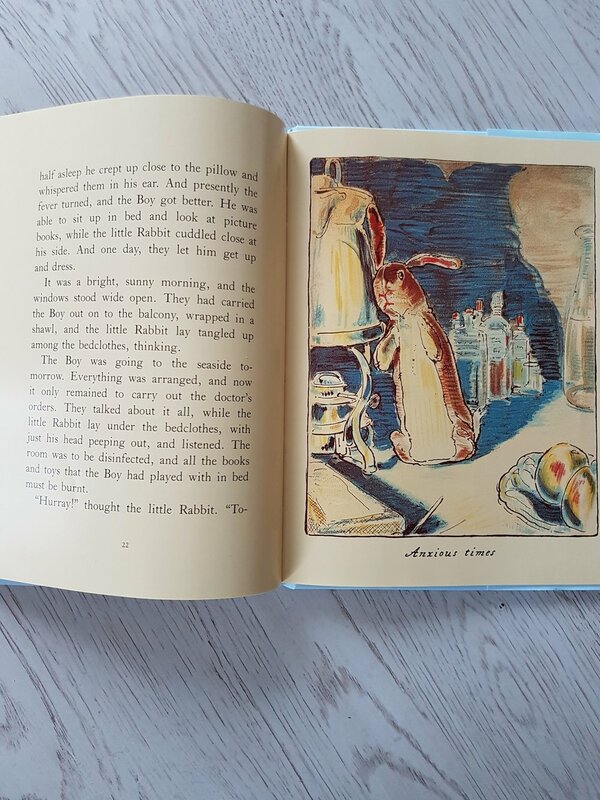 In the unlikely event that you don't know this tale, here's the summary: a stuffed rabbit whose dream it is to be made real (which requires being loved so much) gets forgotten, then found and loved again, and then must be burned. You are a robot if you don't suffer alongside him even as a sort of secondary redemption appears as his wish of transformation is granted. "Of what use was it to be loved and lose one's beauty and become Real if it all ended like this? And a tear, a real tear, trickled down his little shabby velvet nose." 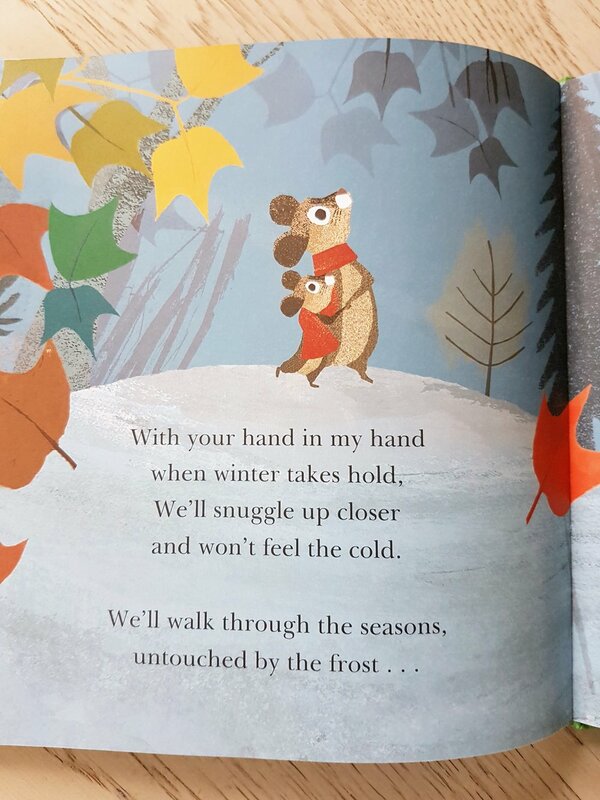 The very first time I read "Your Hand In My Hand", a gift from my brother S.J. and sister-in-law Nicole, I was misty and I still feel those heartstrings pull every time Petra brings it to me. "Someday" is the story of watching childhood from motherhood; no matter where you are personally in the timeline, it will affect you. Most of the time, you will smile a preemptively nostalgic smile as you imagine that someday, your child will feel the cool, clear water of a lake or go off to University feeling that their home is suddenly so small. But it takes you right through life and you suddenly feel how finite every moment is. "Someday, a long time from now, your own hair will glow silver in the sun..." and then this page?! It's a lot. As tough/impossible as it is to get through some of these without my voice breaking, I recommend every one on the list! Did I miss a goodie that makes you well up or is one of these your favourite, too? I want to hear from you and am always into expanding my collection of cathartic reads so keep in touch.